With a Fabco transfer case you get optimal mobility, excellent durability and fit for multiple applications, including medium- and heavy-duty trucks for off- and on-highway applications, agricultural machinery, mining equipment and defense applications. They are an optimal option for many industries including; agricultural, bus, constructions, utility, defense, fire & rescue, mobile cranes, port & terminal tractors, rail cars, trailers and trucks. At Global Transfer Case Supply we have transfer case models in stock ready to ship worldwide today. 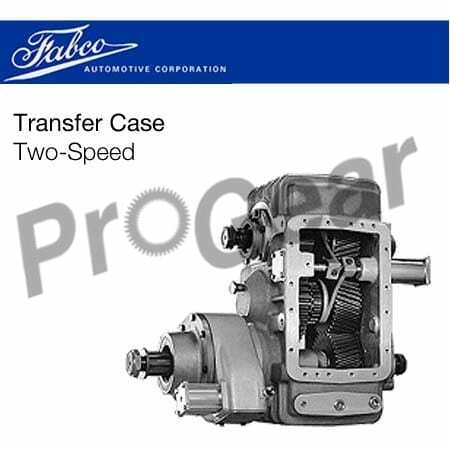 We offer new and rebuilt transfer case options in single speed and 2 speed, to meet all your transfer case needs. One call to us and we can provide international shipping with same day service. Any rebuilt transfer case in stock ready to ship Worldwide today. One call to us and we can provide international shipping the same day service. Call today, receive your transfer case tomorrow!